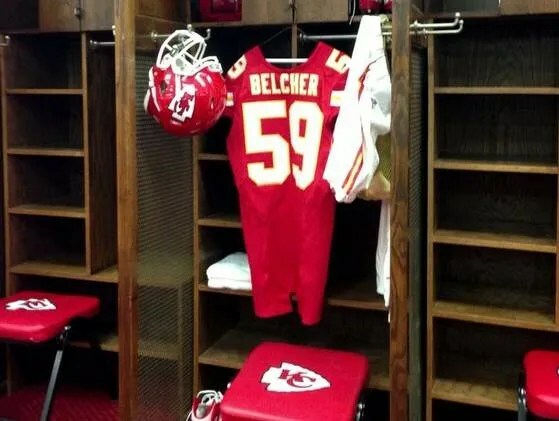 It’s been less than a week since Jovan Belcher of the Kansas City Chiefs killed his girlfriend and himself with a gun and it’s been a little over a year since someone broke into my home while I wasn’t here and left the place completely disheveled. They stole my laptop, a safe (which was completely empty), and my digital camera, among several other things. In the moments right after I discovered that my home had been burglarized, I couldn’t help but to wonder what if I was at home with my gun when those cowards broke in? Would I have enough rage in my heart to shoot them all dead? Now of course all of this is deeply hypothetical because in actuality I don’t own a gun. Unlike both of my parents I am not from the rural south and therefore I never went hunting for diner. In urban California guns represent human death. Their prevalence played a major role in the murders of several of my childhood friends. In short, I really hate guns. I believe that guns make it too easy to kill. One must ask if Belcher did not have access to a gun would he have actually carried out those gruesome murders? Obviously there were multiple factors that played into Belcher’s actions. He had to be under severe emotional distress, and from listening to other people’s accounts of him it sounds like he must have suffered from multiple personality disorder as well. But now he as well as his girlfriend is gone, and the weapon used to carry out the deed was a gun. About once a year I seriously contemplate buying a gun. Having a growing daughter to protect and living in a rough neighborhood are just two of the reasons that make me want to purchase a firearm. Another one is that I’m a man and men play for keeps. Meaning if I get into a physical confrontation with a guy and I come out victorious then chances are he may run to get his gun. In which case, since I don’t have a gun, I would just have to run. What always keeps me out of the gun store is the other side of the equation. If I bought a gun then about a month later I woke up in the middle of the night and caught a person trying to steal my car, would I actually have what it takes to take another human beings life? Could I actually justify putting a gaping hole in the flesh of another man because he attempted to take one of my possessions? I don’t know that I could. I’ve seen contorted bullet riddled bodies lying just beyond yellow caution tape on the concrete. I’ve seen a half-empty misshapen head propped up in a casket a week after a man had gotten his brains blown out. I’ve heard fatal shots, I’ve listened to horrible screams, I’ve seen the shell casings, I’ve heard mothers cry, and I’ve seen a once victimized kid stand prouder than Superman on the street corner once he got his hands on his first gun. I never wanted that. I always wanted to move as far away from that world as possible, but alas, I have yet to do so. Those heartless savages kicked in my back door and stole my daughter’s piggy bank and took my camera with all of those beautiful family images that I had never gotten developed. They left boot prints on the very bed where my daughter lay and of course my neighbors saw nothing. They heard nothing. They knew nothing and in that moment that I discovered how wantonly I had been violated, so help me Jesus I felt like I could do it. I wanted to kill them all. No matter how young, how old, or how pitiable their lives were. Needless to say those feelings dissipated. At the end of the day I was grateful that I wasn’t hurt, nor was anyone in my family. I decided then, like I always do, that a gun wasn’t worth it. I don’t want to even have the option to do what Jovan Belcher did just because I’m having a hard time. I want to live freely without having a justifiable homicide on my conscious. But I also want to be prepared. For there is always a time when a man must defend himself. People don’t fistfight anymore, everyone is toting steel and if I am to protect my house and my family I fear that one day I may have to adjust to the times. That day, however, is not today. Today I am thinking of another way out. Today I am still thinking about Jovan Belcher and his 22-year-old girlfriend. Today I am thinking about life. This entry was posted in Blogs and tagged burglary, handguns, home invasion, Jovan Belcher, kansas city chiefs, manhood, multiple personality disorder, violence. Bookmark the permalink. YB, in the specific case of Jovan Belcher, if his family allows scientists to dissect his brain they are probably going to find out that it was slammed into his skull too many times while he played football. He shot his girlfriend nine times which is horrific overkill and totally about rage. So, in his specific case, there is no way to know what he would have done with that rage whether or not he had easy access to a gun. Now that he’s dead, there is also no way to know why his murderous rage was so disproportional to anything this woman could have possibly done. OMG I just, just read that post. He did an excellent job but the whole thing is still very puzzling. I’m not sure we’ll every get the correct answers but I just want people to ask the right questions. I think what is happening is that the instantaneous transmission of information made possible by technology in recent years is making millions of people aware of things they haven’t given much thought to. And because of that there is a lot of discussion about gun laws and stand your ground laws right now. At least it’s a start. But you’re right, all of this discussion needs to go somewhere. Some days I feel a tipping point and other days I just feel despair. What I meant to say is that there is no way to know what he (Jovan Belcher) would have done with his rage in the absence of a gun. You are absolutely correct but if he wanted to cause someone bodily harm then it would have been a lot more difficult. Wow… well said as always friend. Ive been thinking of purchasing a shotgun…because im in a “doomsday prepper” state of mind and because 2 close friends owns weapons now. Self defense is all I think of. Especially now with the Fiscal Cliff looming, which can possibly spell doom for the unemployed that are on benefits, who might have the mental capability to “go for broke” …feel me? Being up here in OR for 9 years (Im originally from The Town) makes me really want to grab the steel as Ive learned much about the prevailing racial attitude of this completely white populated state. Portland is truly living in a bubble. I seriously think about making the purchase, but today I wiped it out of my mind after watching Michael Moore’s “Bowling For Columbine” and was reminded of what the deep seeded reason why Amerikkka owns guns. My eyes are shifted towards Canada. Imhotep. Wow, Canada really? You keep going further and further north. Lol.